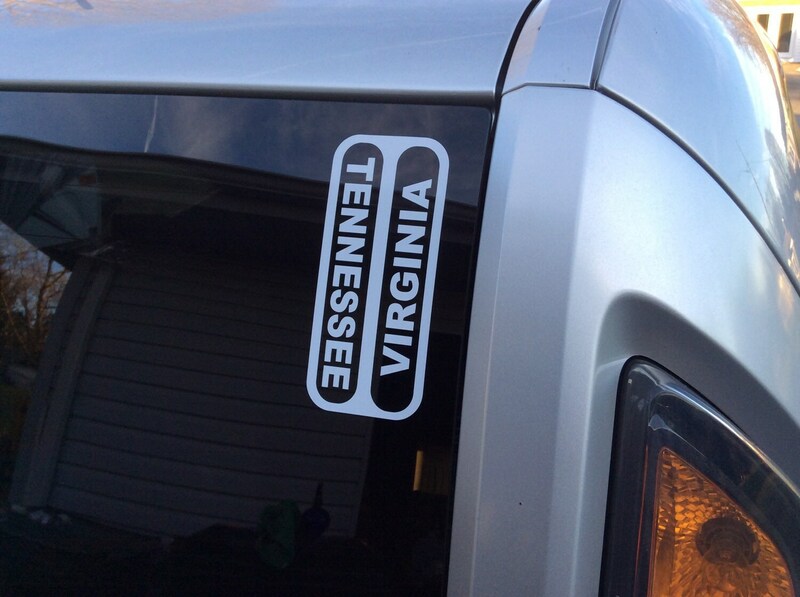 Bristol Virginia and Bristol Tennessee are twin cities located in Southwest Virginia/Upper East Tennessee. 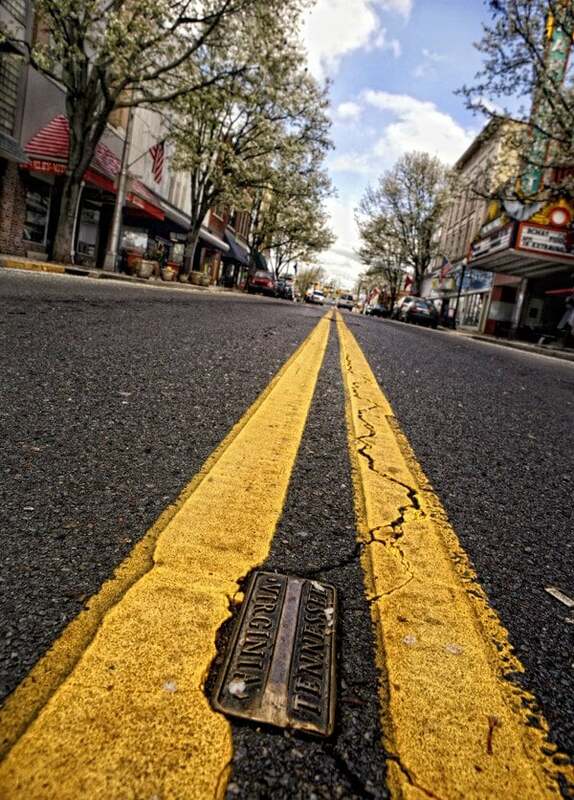 The downtown and State Street divide the two cities and the two States. 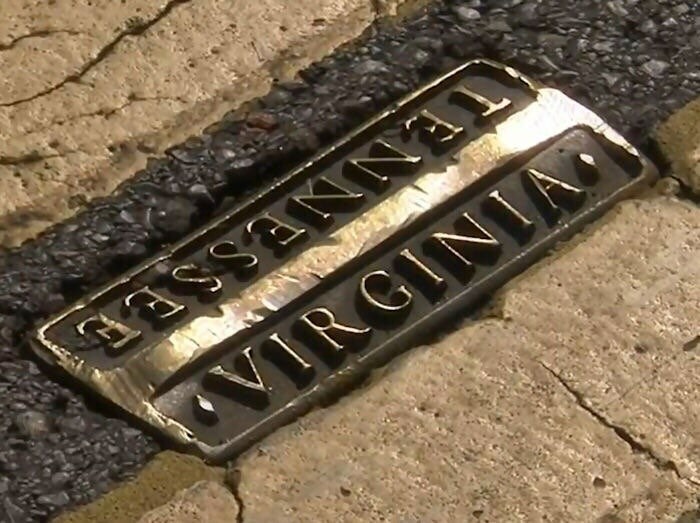 This decal is a replica of the famous state line markers that placed in the center line of State Street. Many folks have had their photos taken here with one foot in Virginia and one foot in Tennessee. 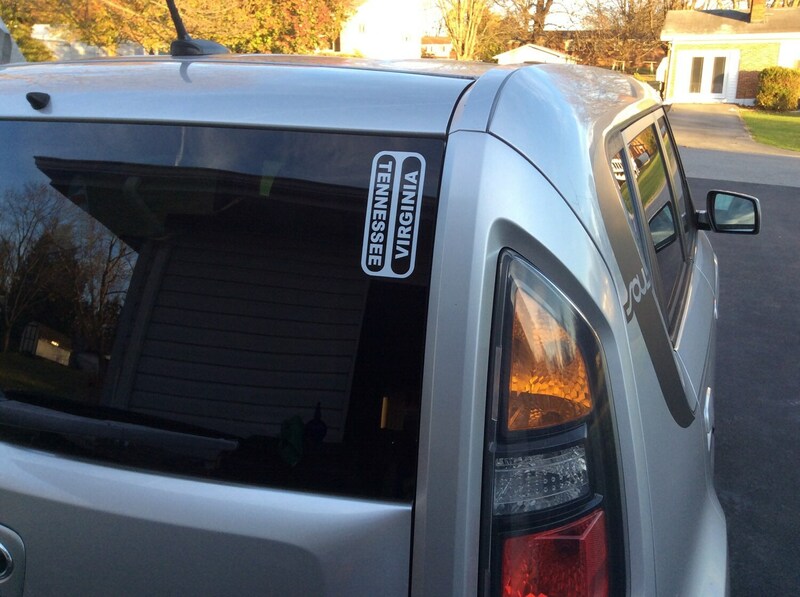 *This decal works either vertically or horizontally. ordered the gold version to match the streets of bristol and received a complimentary sticker! Thanks! 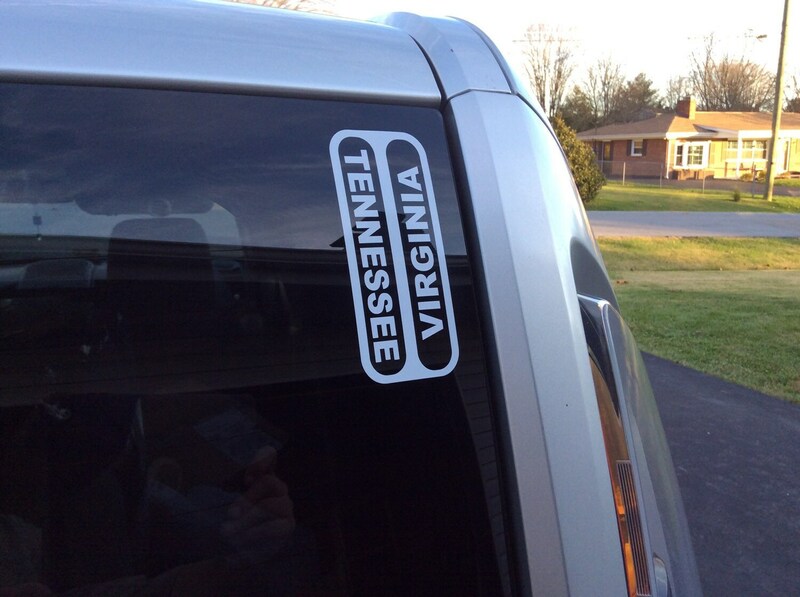 I love my Tennessee/Virginia sticker! On my car out on Oahu. It got here super fast, and a free sticker was thrown in, much appreciated! First thing, this review is about a month late. Jeff shipped my order very quickly. I love the decal. It went on very easily and looks great. What else can one say? It's a high quality item, at a bargain price, shipped very quickly. Even came with a very cool, free sticker. Excellent customer service.